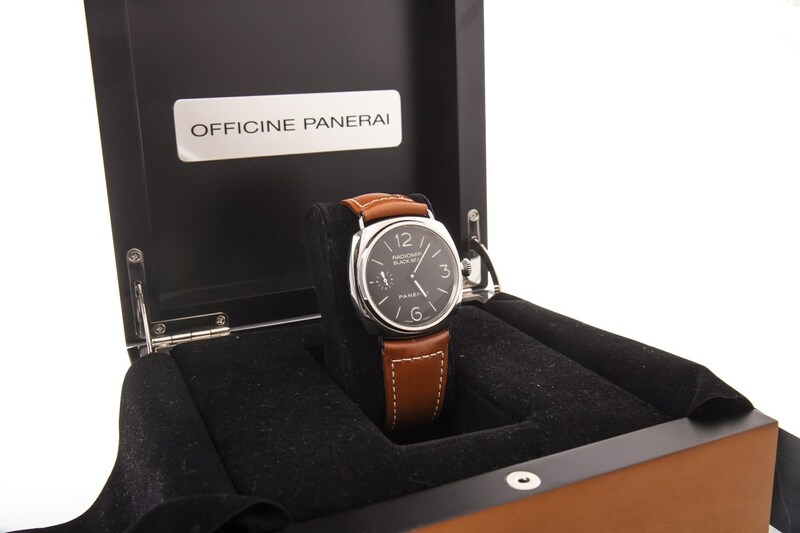 Panerai watches are known for their oversized cases and large numerals, both of which have become popular in recent decades. Dating back to 1860, Panerai supplied the Italian Royal Navy with ships clocks, calculators used in firing torpedoes and luminous devices used in naval night missions. The company was regarded as the finest providers of nautical equipment in the world. It makes sense that with the world on the verge of World War II in the 1930s, Panerai was asked to design a wrist watch which could be seen clearly underwater by Italian Navy Frogmen. The Radiomir luminous dial glowed in the dark and underwater which proved essential for these men on their missions. 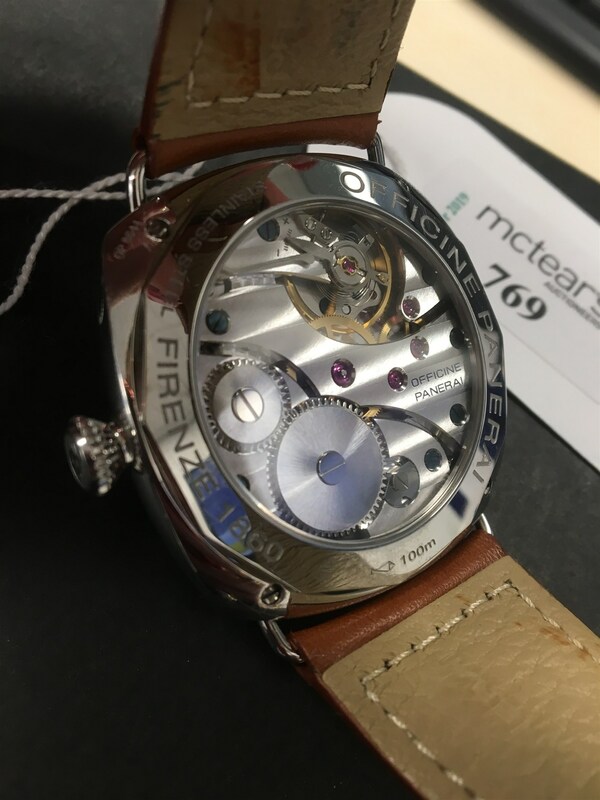 The simplistic and large design of Panerai watches has not changed much since their conception and the large cases and clear, fuss free dials are still very much staple features. 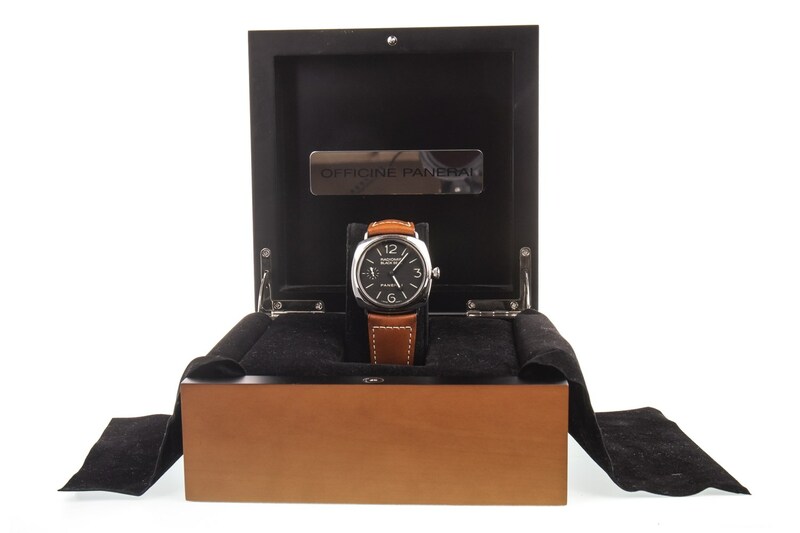 Lot 769 in The Watches Auction on 9 April is a Panerai Radiomir Black Seal watch. It features a 45mm case with black dial and luminous hour markers (£3500-£5500.) One thing is for sure, with this on your wrist you can be sure to light up any room.